Our final couple of days in Muhanga began with a trip to a secondary school and an uncharacteristically flat playing field but a more usual mix of girls and boys. As ever some of the boys looked to be designed more for rugby than cricket but it wasn’t too long before we had two games of cricket going on and lots of shouting, cheering and smiling. A real highlight was the ball getting whacked over the fence and the children playing outside chasing it down the street and throwing it back to us. We headed off that afternoon to coach education where we had 13 teachers developing their skills, asking questions and getting stuck in for over 4 hours! Special mention must go to Khush who led the session and kept everyone engaged all afternoon. The session was split between classroom based and practical activities and only finished when it got too dark to see the ball! These sessions are crucial to helping with the sustainability of CWB’s work. 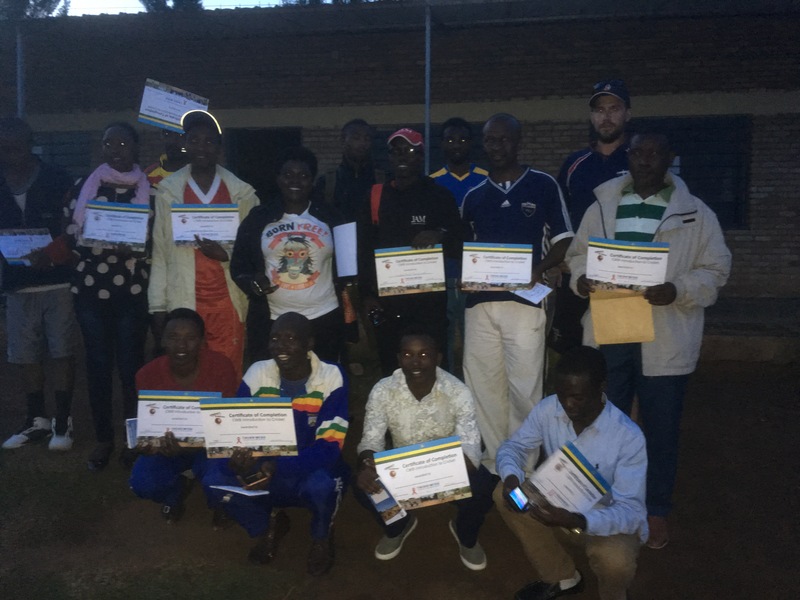 Children at every school ask us about how they can keep playing cricket and helping ensure their teachers are skilled up to coach is a big part of making this happen. Before we moved on to Kigali we still had a festival to go….and what a festival! We got our pitches set up and as the children were congregating to get things started we were given a 2 minute rain warning by one of the teachers. A large scale dash to a nearby maize drying barn ensued and 2 minutes later all our team and 100 children were huddled together watching a terrific downpour. The rain was short lived and we soon had everyone back on the field and the games were underway. The festival was fantastic and children, teachers and coaches were all soon having fun and as ever we were treated to some huge hits, great throws and my game saw the catch of the tournament! Muhanga has been fantastic. A ‘Splendid’ hotel, great schools and lots of fun. We’ve seen girls and boys playing together at every school and met some teachers who were enthusiastic and loved their cricket. I think we all left feeling that the coaches will keep playing cricket in their schools and delivering the messages that it’s a game for everyone. 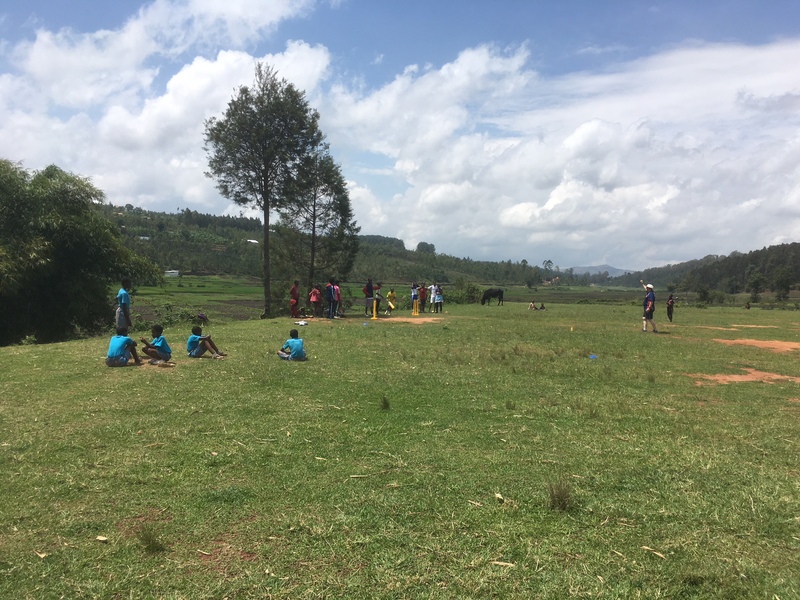 Next stop Kigali for more schools, real cricket, motorbike taxis and the Plus 250 club but that’s a story for another day and another blog…. icds on Can Cows Swim? Leigh Rees on Can Cows Swim?